For daily use the room was to appear as a library, so the theater components had to be discreet. The projector is hidden in the mill work above the double doors, the projector screen drops down from the crown molding in the soffit above the cabinetry, the high-performance speakers are behind the mesh panels down below for an awesome surround sound experience. The whole point of this room is that it is a quaint, comfortable library, until it’s movie time and “theater mode” is activated…. then prepare to get your socks knocked off! The lights dim, the 110″ projector screen is lowered and the high-performance theater grade speakers are turned on, ready to provide your family and guests a truly amazing audio/video experience. To any guest this room is one of the coolest home theaters they have seen to date, but what they overlooked is arguably the best part…. The super cool bonus about this “library transformed theater” is the rotating cabinetry. One of the wood paneled shelves actually doubles as a secret passage way that brings you into a room unbeknown to guests. When you realize which wall it is, you are able to push through and next thing you know you are in their personal wine cellar complete with a game of chess, as seen in the slideshow below. Imagine sitting in the elegantly transformed library/home theater. “Would you like a glass of wine? No problem…” Look no further than the revolving cabinetry that leads straight to the wine cellar. A library, home theater, wine cellar and chess room all confined into a single room, now that’s making the most of your space! Allowing your room to be transformed for multiple uses is not only practical, but refreshing. We’d love to help transform your next space, call us today to set up a meeting and brainstorm your next home theater transformation! With Summer just around the corner, what better place to entertain your guests than in your very own backyard, playing the perfect Summer soundtrack in the background? Outdoor speakers have the potential to transform your yard into the family’s most popular spot this Summer. There are many types of outdoor speakers options to chose from, depending on the area they will be installed in. The aesthetic appeal of your yard is important, the last thing you want is for the equipment to create an eye-sore. All of our speakers are discreet and able to blend in with the landscaping or trim of the home for limited aesthetic impact. All good outdoor speakers supply full-bodied sound and are durable throughout the elements. We have different options to best fit your style, need and budget. Surface mounted speakers fit perfectly under the eaves of your home to provide quality sound to your patio, terrace or balcony. Surface mounted speakers are a simple, inexpensive and very popular solution. They come in black or white, and can be painted to match the home. We can also place in-ceiling speakers in the boxed eaves of your home. They blend seamlessly with their surroundings and can be painted to match the home for effortless sound delivered to your backyard or patio. Outdoor rock speakers are an affordable, yet durable solution to add music to your outdoor areas. Your speakers are able to go unnoticed in your garden or landscaping for a non-obtrusive look with full-bodied bass. Perfect if you have a large backyard and want sound projected over the entire area. Landscape speakers are a sleek option that can be placed anywhere in your landscaping including pathways, poolside or even installed in a tree. Additionally you can chose to add a buried sub-woofer to improve the full-bodied sound. Planning a pool party? We can connect your audio system to underwater pool speakers and underwater sub woofers, talk about non-stop music! To deliver music to your outdoor speakers and throughout the home we turn to to our favorite music system, Sonos. Sonos allows full control of your music from anywhere in your home or yard right from your smartphone or tablet. Sonos even allows you to play different stations in each zone or group them all together when it’s party time. Check out the bulk of music service apps you can stream instantly from your Sonos player! Want total control of your music outside at all times? Make sure you have an outdoor WAP to ensure exceptional coverage throughout your backyard. We were able to provide excellent coverage to this San Francisco home despite the extreme amount of neighboring wireless networks in the area. We have different options to best fit your style, need and budget so you can be singing your favorite summer jams all day & night long! Give us a call at (415) 456-7000 and we can figure out which option is best suited for you. At SoundVision we’re all about bringing you the very best in electronics, so here is what we like to consider when choosing a TV for your home? Sony’s are a favorite here at SoundVision. They provide crystal clear picture quality you have to see to believe. Sony is now using TRILUMINOS picture processing technology (quantum dot technology) to enhances all colors, delivering a noticeably richer color performance. With this technology, and Dynamic Edge back lighting, the black levels are increased for better contrast and color vibrancy for your viewing pleasure. 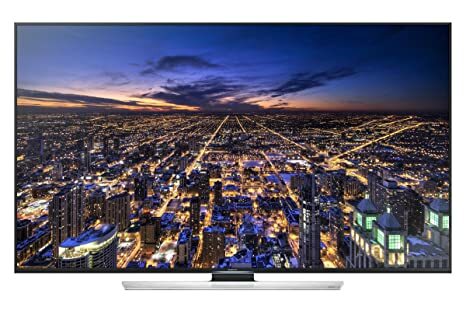 We highly recommend the XBR850B 4K (Ultra HD) series, which offers 49” 55” 65” and 70” models. All HD content is scaled to 4K Ultra HD for amazing picture quality, and when we start seeing more 4K content they will look even better! We have recently upgraded to the 65” XBR 850B in our own conference room. There’s a noticeable difference and every one in our crew has something to say about it, it is truly awesome! Your welcome to visit our showroom and see the difference for yourself. Samsung is another trusted brand we use often, and another favorite at SoundVision. Samsung also has 4K UHD picture quality displaying 4 times the resolution of high definition standards and their most lifelike picture quality to date. Our Samsung TV of choice is the HU8550 Series. Samsung offers Smart TV capabilities for instant access to movies, social media and easy access to apps like Netflix or Hulu. Similar to the Sony option, this series also offers really clear black levels and color enhancing technology. We are extremely satisfied with these TVs and based on the feedback we’ve received our clients are too! Another important aspect when searching for the perfect TV is SIZE, we wrote a blog to help you find the right size TV for your living space. If you’re considering another TV feel free to give us a call and we’ll happily give you our feedback. This spectacular Sonoma County home features a whole house audio system in over 8 different zones, a game room and a state of the art home theater you have to hear to believe. This home theater includes a ceiling mounted projector, a 147″ projector screen combined with surround sound and a powered sub-woofer for the ultimate cinematic experience. The shape of the room and the furniture inside of it work together to create optimal acoustics for this home theater. Take note of the shape of the room, this was not accidental; the angled walls reflect sound waves, while the soft material of the carpet, curtains and microfiber couch help absorb the sound waves. The combination of both sound reflection and absorption is crucial when trying to achieve optimal acoustics that rivals the commercial cinema experience. This super-sized game room includes everything you could want in your play room, including a 55″ TV, 4 in-ceiling high performance speakers powered by a Sonos Zone player complete with a pool table, ping pong and fuse ball table… What more could your family need? The porch include 4 high performance in-ceiling speakers connected to one of the Sonos Amps. Nearby lies the patio complete with 2 Klipsch outdoor speakers accompanied by a discreet dome style video surveillance camera. Multiple video surveillance cameras are featured all over the home, as well as a security system with internet monitoring for complete safety of the family and the home. At SoundVision we are involved with your remodel every step of the way from the very beginning. This ensures that we never miss a beat and your home theater and audio system will be ready for you long before you are ready to move into your new fully furnished home. If you are considering remodeling your home, adding an automation system or a theater system give us a call and make sure SoundVision is involved in the spec process of your new home! The homeowners were looking for the ultimate party destination to entertain their guests right in their own backyard. This backyard has several different areas for lounging, gaming and entertaining; from the pool house and outdoor kitchen to the bocce ball court and trampoline there is no shortage of fun from the second you step outside. SoundVision made sure music was able to reach every corner of this spacious yard, along with a full range wireless network. So whether guests are relaxing at the pool, firing up the BBQ or playing basketball on the opposite end of the yard guests are able to hear their music in perfect clarity. No party would be complete with out the necessities; an outdoor kitchen area, built in BBQ, mini fridge, bar area and couches surrounding the outdoor fireplace and TV. For this space we installed a 70” TV with two Sonance outdoor speakers perfect for watching the big game or a movie under the stars. We programmed this system to play Sonos audio while watching TV or playing XBOX, so the party never has to stop. The roof is automated so guests get the chance to enjoy the sun rays or be protected from the rain. The bocce ball court and lawn area is covered by two Sonance rock speakers that are connected to a Sonos Connect Amp, located on the far side of the yard is the sport court and trampoline area also covered by two Sonance rock speakers. The outdoor rock speakers were placed discreetly in the landscaping to deliver superb sound quality and are unbelievably durable when exposed to high heat, wind rain or snow. The biggest challenge was getting a wireless access point installed on the main house that would cover such a large area. In order to achieve our goal of fast and reliable Wi-Fi throughout the entire yard we ran cat6DB through conduit to the pool house and installed two Pakedge high powered outdoor wireless access points. Read here to find out more about the award and featured article! The homeowners love throwing parties where family and friends both young and old can come together to enjoy a variety of activities during their ultimate BBQs under the sun! If you are considering upgrading your backyard music system or even an outdoor TV give us a call, we’d be happy to help you through the process from beginning to end. Recently the SoundVision Team worked with Richardson Architects and Red Horse Constructors on a waterfront home in Belvedere. We were part of the process from the get-go and integrated our technology with the rest of their construction for a seamlessly beautiful finished product. We focused on aesthetic simplicity helping highlight the home’s elegance and modern features. At the entrance of the home a gate video surveillance system with keypad for instant access for the homeowners and video upon arrival of the guests. SoundVision then discreetly installed dome surveillance cameras in multiple locations. These dome cameras are able to rotate 360° for easy viewing of the perimeter of the home in a sleek and subtle way. Homeowners are able to monitor their home through a home control security app along with controlling the rest of their home including arming alarm systems, controlling music, motorized shades and temperature. The app allows you to go back and view past recorded footage as well as view live video remotely from your tablet or smart phone. It’s our first priority is making sure your family is safe in a way that is both seamless and aesthetically pleasing. If you are considering upgrading your alarm system, adding an automation system or upping your surveillance capabilities give us a call so we can discuss the options best for your home. SoundVision worked with Restoration Hardware to help create multiple conference rooms and a boardroom for their corporate offices in Marin County. This featured boardroom is complete with an 80″ LED TV, an Apple Mac Mini with wireless keyboard and mouse, HDMI and PC inputs seamlessly installed in the table, a camera and microphone for easy video conferencing, 4 Speakercraft in-ceiling speakers, motorized shades and a universal remote control to easily operate the system. SoundVision integrated state of the art technology with Restoration Hardware’s original hardwood table to create a beautiful, one of a kind conference table. Installed in the very center of the table is a Flip-Up panel with power outlets, a phone jack, network jack, HDMI input and PC input to the media system. This allows you to display whatever you wish to share with your team on the 80″ flat screen through your personal device without getting out of your chair! How’s that for collaboration? Everything you would need for a productive meeting with your team is included in this room; from the table, cabinetry, lighting, XL office chairs, surround sound all tied together with Restoration Hardware’s signature flair. All system components are stored conveniently in the hardwood cabinet with proper ventilation for maximum performance and reliability. Regular meetings with your team are essential for productivity. If your company is looking to bring your conference room into the 21st century, call us to set up an appointment and check out SoundVision’s very own conference room to discuss your options!